As any Burda subscriber knows, it's one thing to have the excitement of receiving that new issue in the mail, to page through it and imagine all the possibilities. It's then quite another to actually trace out and sew a pattern. Not that I don't want to - but there is a tiny bit of hesitancy. The folded sheets are so neatly stapled, and not at this point likely to get lost. The other patterns on my shelf are calling to me. Those lovely tissue patterns from Vogue or McCalls which I can just open up and cut into without searching among the multi-colored pattern puzzle that is the Burda magazine sheet. But in the end I convince myself to detach the staples holding those sheets, and search out the necessary pattern pieces for my selected item. And I'm always surprised that it takes me less time than I expect to find and trace. However - if the pattern of my choosing is "red lines" (you Burda users know what I mean) then I often think twice about it. The red seems the most difficult to trace. If my selection is the black lines I give a small yeah! of triumph. It's the small things in sewing that often give pleasure, right? 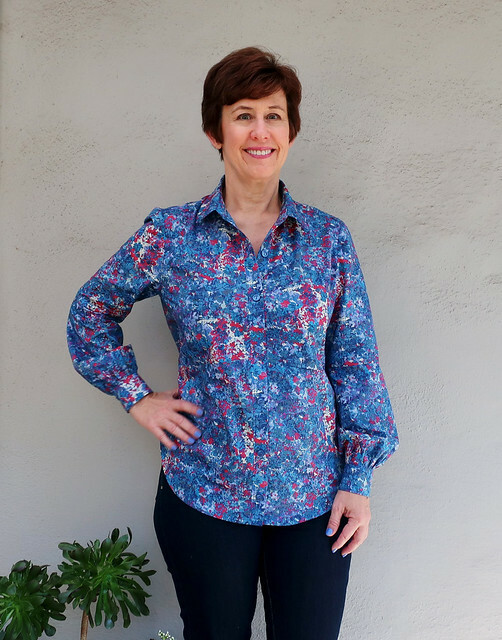 This is a long way round to say that I just sewed up a shirt from the April 2018 issue. One that I traced back last spring, actually started on another fabric, determined the fabric wasn't suitable and changed mid-construction to a different pattern. Which was the right decision for that silk. 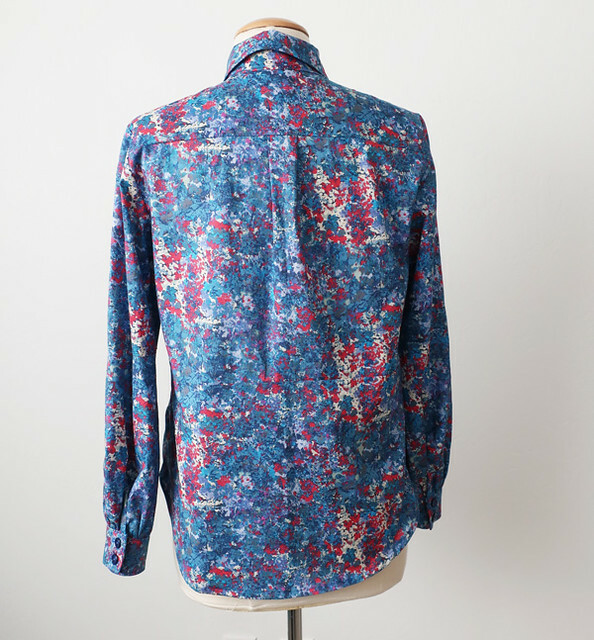 I bought this fabric 2 years ago at Mood in NY, it's a lightweight cotton, I suppose a cotton lawn but with a tiny bit of body and crispness which is perfect for a shirt. I love the color mix and find it works with so many things in my wardrobe, including this jacket which I've been pairing it with this week for an unintentionally patriotic look. Here's the detail from the magazine, so you can see that this shirt has this interesting dart detail down the center front which would show a lot more in a solid. 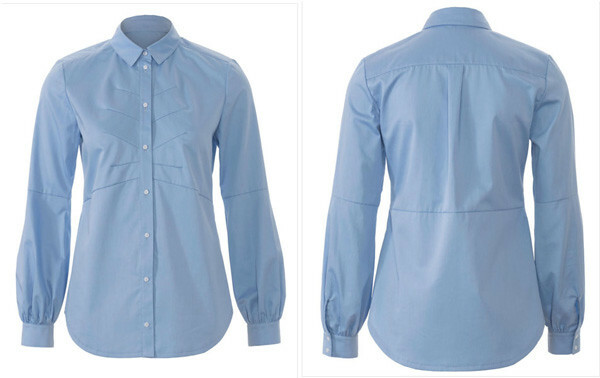 From the technical drawing page in the magazine and this light blue version from the Burda website you can see the dart detail. Another interesting feature is the sleeve, which has a seam at the elbow and then the lower piece flares out quite a bit so it can be gathered into the cuff. As I was tracing I wondered why it had the seam in the center back but looking at this version you can see that the seaming lines up in an interesting way. 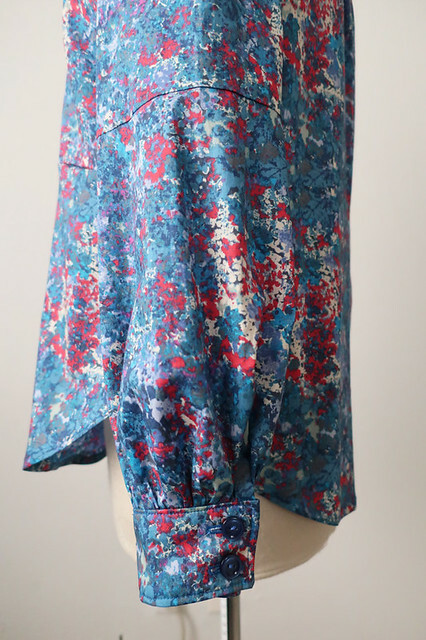 I wonder how it would look if I used two different fabrics and did a color block version? Will have to give that some thought. I didn't copy the cuff pattern pieces, I rarely do - I just make one up as I go along after I decide the length and see how wide I want the cuff. Perhaps here you can see the dart detail a bit better. I have a really beautiful dark fuchsia color silk charmeuse which I got at Stone Mountain a few months ago, it would show off the details nicely however it is a stretch silk and sometimes crisp details like darts don't do as well with a stretch silk. I'll have to do a little test on a scrap. Different day, more pictures. 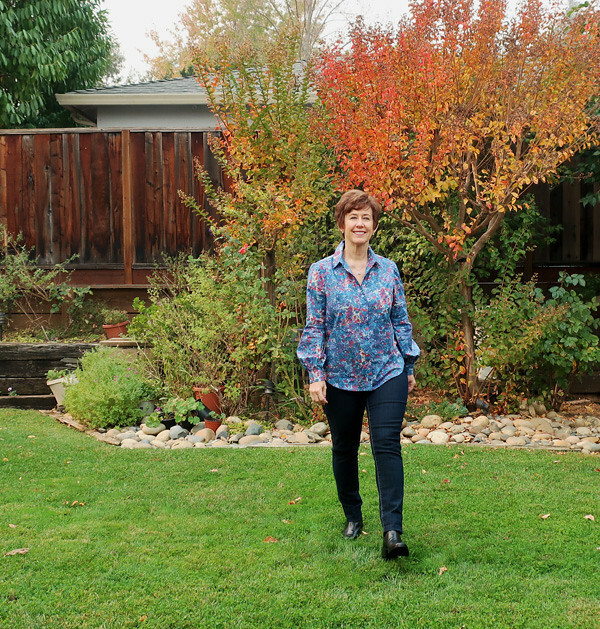 Some days I take photos against a blank wall on the patio which has a covered roof that lets in 50% of the sunlight - at certain times of day the light is just right for photos but if I miss it by just a few minutes then the shadows are there. So I ran outside yesterday to take some more photos. This one was taken at high noon - yet no shadows at all due to the sky being covered with smoke. The sun was a red ball in the sky and it was so strange to see the whole bay area covered with grey - unfortunately the 2nd time in about a year this has happened. Last year with the north bay/Napa fires and this time the one near Paradise, Ca. The devastation is shocking and it's heartbreaking to see what people are going through. 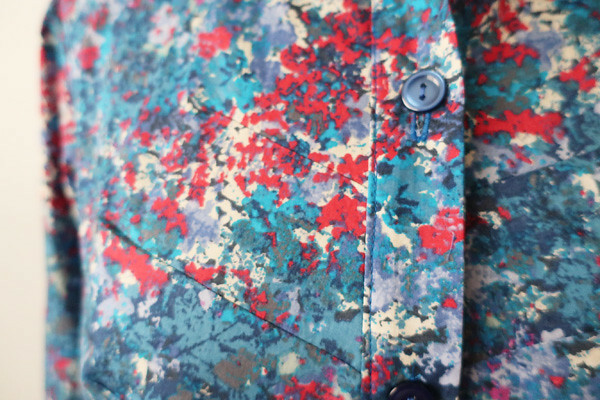 This fabric has so many colors it in, I really like this type of abstract or splatter prints. 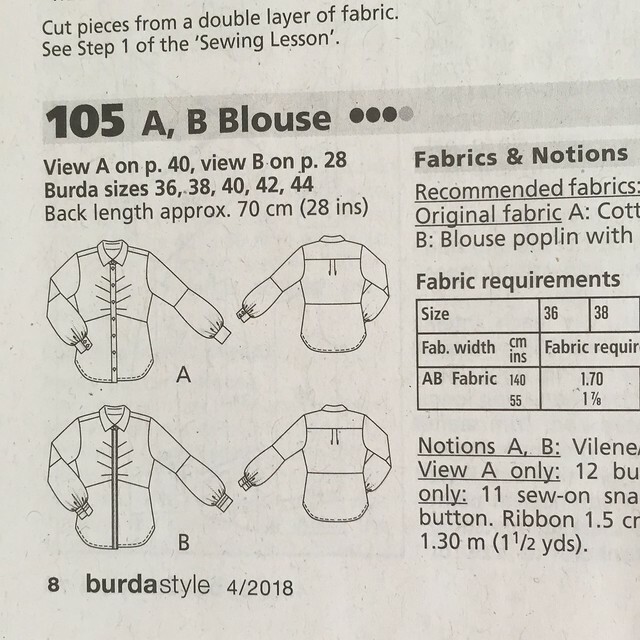 So that's the latest on my Burda magazine sewing. This morning I just stitched up a version of something from the November issue !! 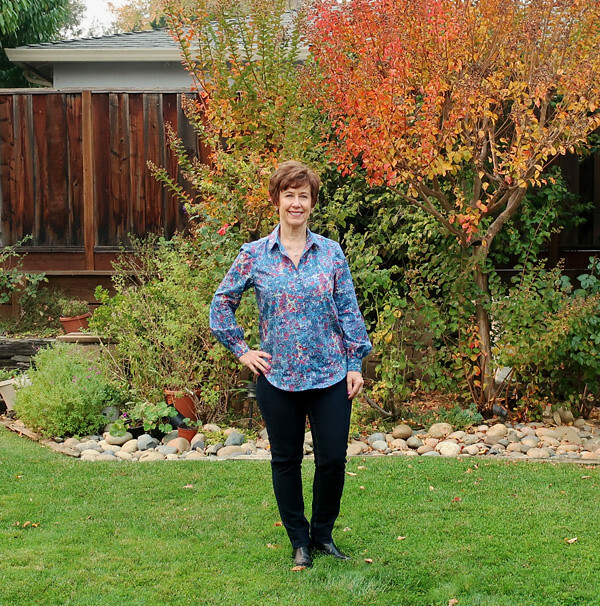 Same knit top as KS_Sews has made. I like it a lot although I changed it to a crew neck instead of a wide boat neck (always cold neck so I like more coverage). Also this afternoon I'm teaching a knit top class at Hello Stitch Studio and I wanted to change the neckline to show how to redesign the neckband. All my classes at Hello Stitch for the remainder of the year are sold out! We have LOTS on the schedule for Jan-Mar and I wrote about them in my previous post. If they're not listed on the website yet you can always call or email the studio to sign up. 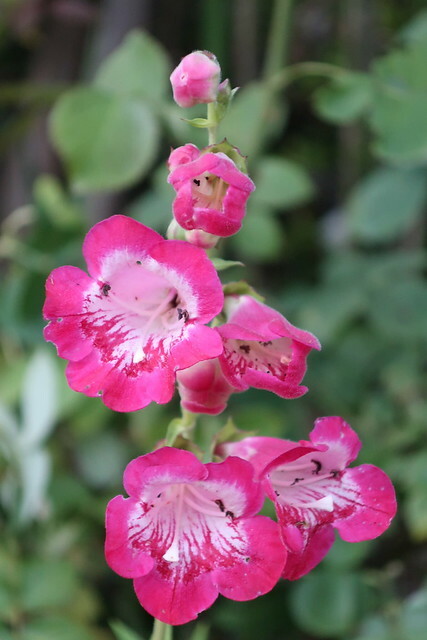 today's garden photo, a penstemon that is probably in the wrong place in the garden. Winter will bring some rearranging - at least if it ever rains around here. How fitting. 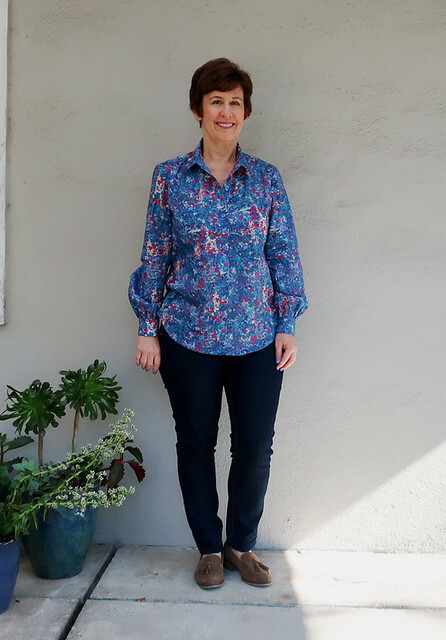 I love that boatneck so much that I decided I’m going to try to change the much-loved M6886 to a boatneck! I’m gonna do it!!! Oh the joy I feel when my pattern has black lines <3 lol!!! I really love this top. Even if the darts are “lost”, it’s just such a nice fit! 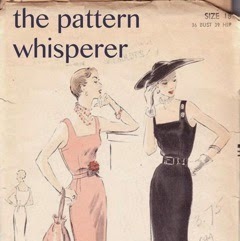 I love those sleeves and my slight concern over the pleat+ lower back piece is gone. So sorry about the fires :( I cannot imagine that devastation. I love your shirt, this pattern is on my to do list (with so many other things! ), I must try and move it up to the top. 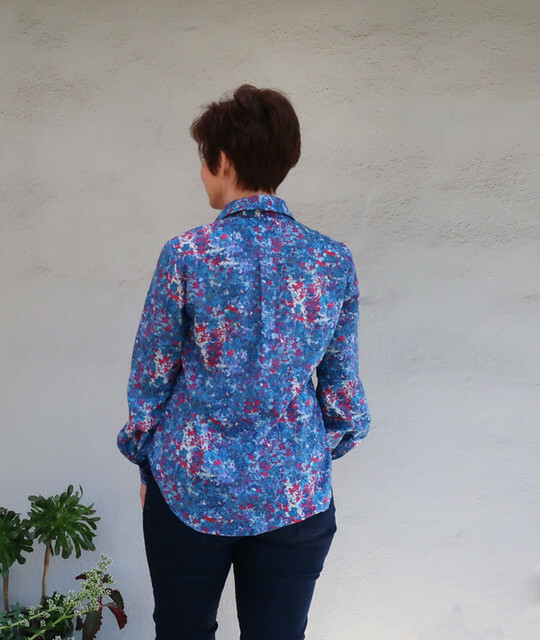 Even though the dart details are hard to see in this fabric, the shaping and overall cut are gorgeous - exactly what I look for in a shirt. So beautiful! I thought it's a basic shirt at first glance. I really love the dart details and fabric choice. It looks so gorgeous! I love the color mix . 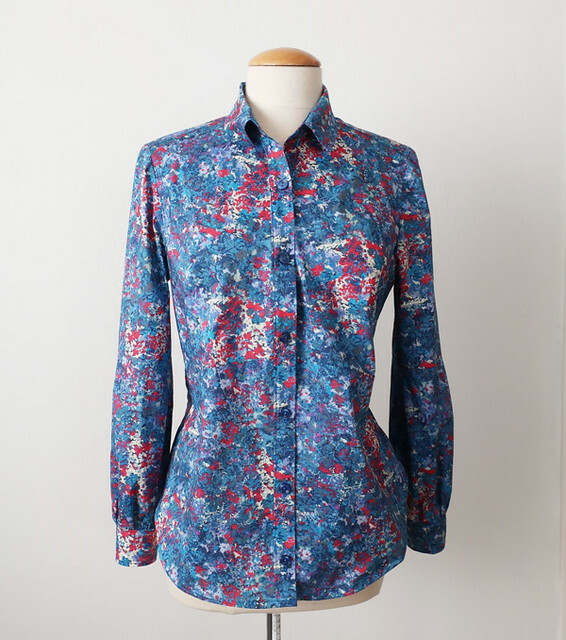 This is a beautiful shirt/blouse! 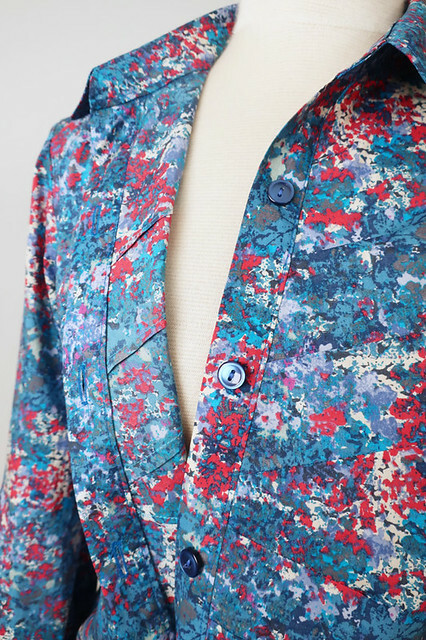 I do like the darts and though difficult to see in your floral print, it does give this top a nice design. Love the fabric you used. Glad to see that the sleeves are not too puffy! What a cute shirt! I know what you mean about the red lines. 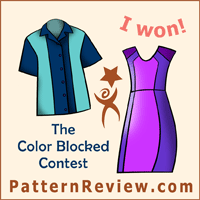 I just traced one of ‘extra pattern in pink’ Burda patterns, and it was much harder than a regular Burda because of the colour. Luckily only three pieces.